Save money while becoming a better driver! Our New Mexico defensive driving course gives you both of these benefits with convenience and ease. Big Savings on Your Auto Insurance! Need New Mexico Defensive Driving? If you need to take a New Mexico defensive driving course and are looking to free yourself from the drudgery and inconvenience of a traditional classroom course, our course is here to offer you an easy, entertaining experience. Our New Mexico defensive driving courses make getting the job done in a way that is completely hassle-free. 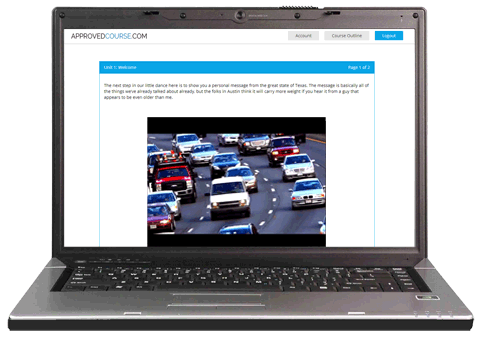 You can forget about tedious textbooks and rooms filled with strangers with our online defensive driving course, With a 100% online curriculum, you get all the benefits of traffic school - minus the classroom. Bottom line? Online puts the tools of your drivers education in your own hands. No Ticket? How About Keeping Money in Your Pocket Instead? Even if you don’t have a ticket, taking this course voluntarily may save you money on your auto insurance rates. Contact your insurance company and ask if they offer premium discounts for taking a New Mexico defensive driving course. If so, it’s easy to start saving money: complete our course, get a copy of your completion certificate to your agent, and they’ll take it from there. If you find any part of our course confusing, you don’t have to be for long. A quick email or phone call to our live customer support team is available will get you back on your way. 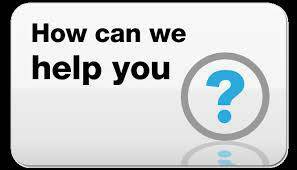 We are always here, 24 hours a day, 7 days a week to answer any and all of your questions. Dismiss a ticket or save some money with round the clock support. Why not get started today? How Can Defensive Driving Help Me? There are a number of ways taking a New Mexico defensive driving course can benefit you. Perhaps the most obvious is the reason that probably brought you here to begin with - to dismiss a ticket. Dismissing that ticket keeps your driving record clean and that is always a good thing. A clean driving record means money in your pocket. The more points on your record, the more your insurance company charges you in premiums as if just paying the ticket wasn't cost enough! If you don’t have a ticket, taking our online defensive driving may even make your rates go down. Many insurance companies offer discounts to policyholders who have voluntarily completed a defensive driving course. Beyond ticket dismissal and insurance savings, taking a New Mexico defensive driving course just may give you some refreshers and reminders that will make your driving safer. Who could ask for a better benefit than that? New Mexico Defensive Driving Fast and Easy!